It’s not exactly a typical combination, but try it out and you might be surprised! 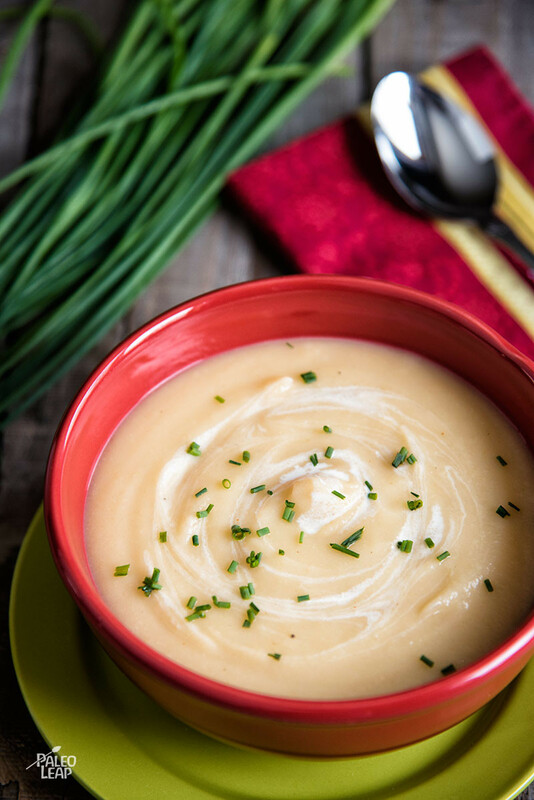 The potatoes (use white or sweet) give you a solid, comforting base, the turnips add a little sharpness, and the pears take the whole mix in a slightly sweeter direction without getting into the realm of dessert soup. And of course, there’s plenty of coconut milk and homemade stock to give everything a solid base of flavor. If anyone in the house has an early-spring cold, this would be a nice comfort food that’s gentle on the stomach – all the vegetables are cooked pretty thoroughly, which makes them easier to digest. Turnips and potatoes are actually both good sources of important nutrients, and homemade bone broth is also a really great food for a cold. Alternately, try this one with any protein you like to make a complete meal. The curry powder would go really well with crispy Indian-inspired chicken bites, or fry up some sausages for an easy and nutritious dinner. Heat olive oil over medium-high heat in a saucepan. Add shallots and sauté for 2 to 3 minutes. 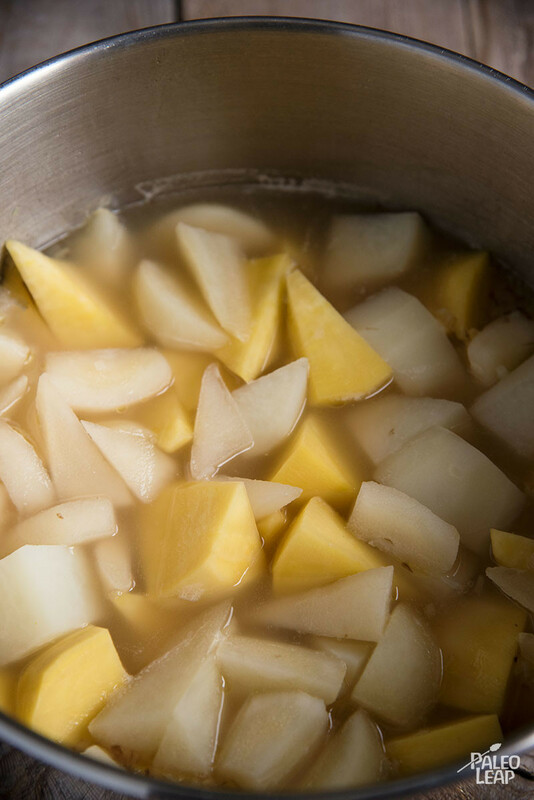 Add turnips, potatoes, and pears to the saucepan. Cook, stirring frequently, for about 5 minutes. Pour the chicken stock and bring to a boil. Cover, lower the heat to medium-low, and let simmer for 20 to 25 minutes. Purée the vegetables with an immersion blender until smooth. Pour the coconut milk, curry powder, and season with salt and pepper to taste. Stir until well combined. Serve the soup garnished with fresh chives.